The student executive board for Roarthon display the total raised for the event. 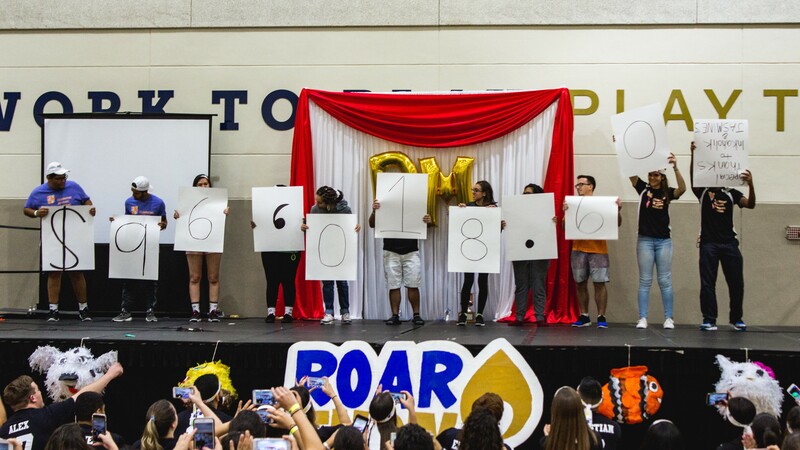 More than 200 participants and 147 dancers attended Roarthon, the annual 17-hour fundraiser that raises money for Children’s Miracle Network Hospitals, raising a total of $96,018. The students are still working to meet their $100,000 goal. 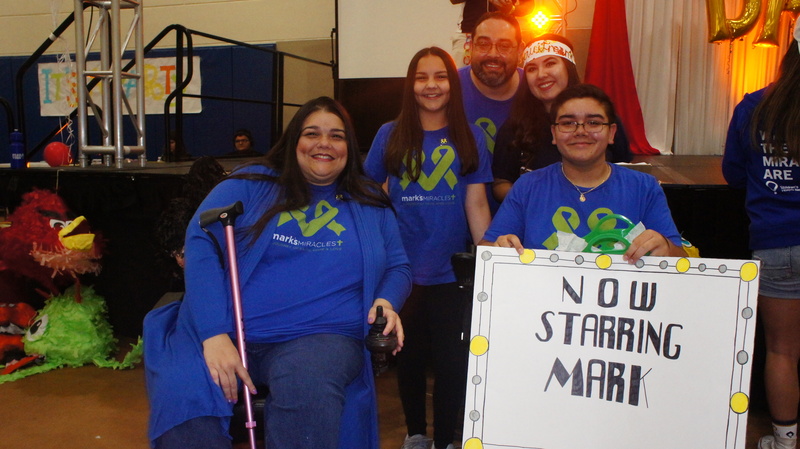 The event includes choreographed dance, first person stories from Miracle Network families and plenty of games to keep participants motivated and awake throughout the night. 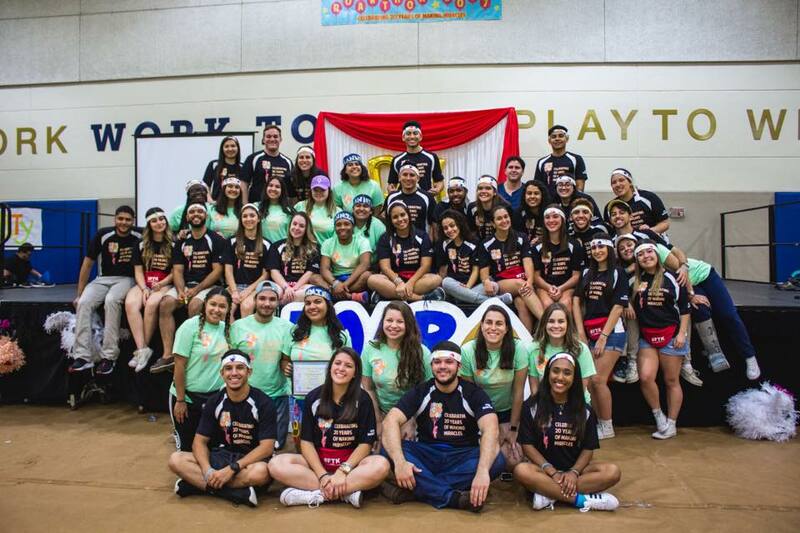 “This was definitely a memorable year – a year where I know each student on the committee and every dancer will be involved in some way with Children’s Miracle Network,” Martinez said. Mark (seen holding sign) is a 15-year-old who has several chronic illnesses. He and his family came to speak to participants to let them know how their donation helps families like theirs. Students plan Roarthon up to a year ahead of time and begin fundraising well in advance of the 17-hour overnight fundraising event. 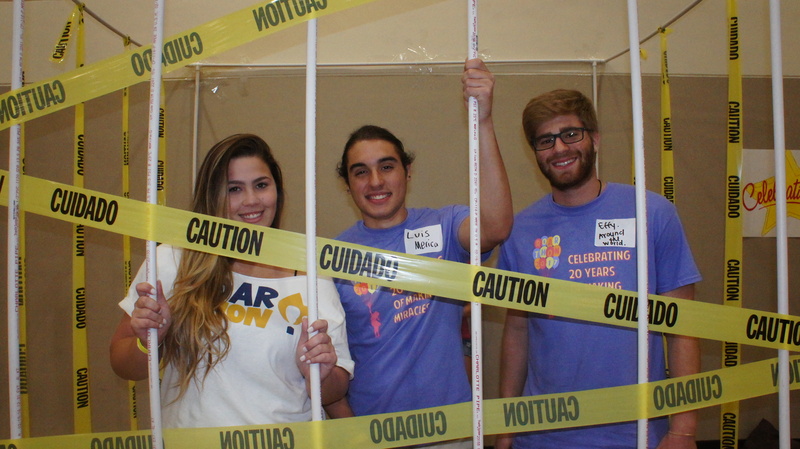 Student participants of Roarthon get creative with ways to raise money for the Children’s Miracle Network. Here, students get friends to “bail them out” as one fundraiser.